Some of the biggest falling hazards are found in your bathroom, and things can quickly get ugly for older adults. The slippery surface caused by un-drained water can make it difficult for the seniors to use the regular bathtubs. Climbing over those slippery edges alone can be a demanding task for some. This is where a walk-in tub can keep things safe and under control. What is the best walk-in tub on the market, you ask? Let’s find out. You can find quite a few popular brands in the market, but you have to consider your unique needs and available space before buying the best walk-in tub. Here are some nice options to consider. 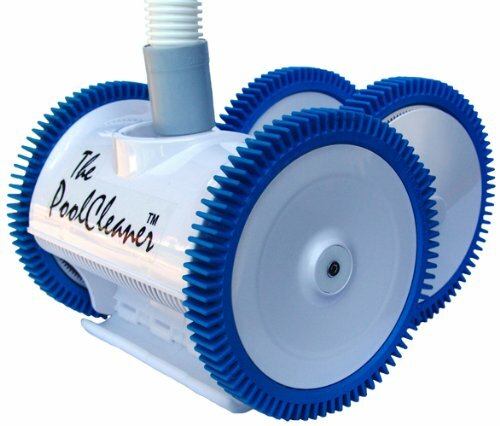 It uses a single-speed heated blower to promote better circulation. It comes with a contoured, watertight door for easy entry. The Whirlpool Massage system has an in-line heater and 6 water jets for a soothing experience. It costs a little more than similar products by other brands. The biggest selling point for this walk-in tub is that it comes equipped with American Standard patented Quick Drain system. It means you don’t need additional plumbing because it starts working the moment you activate it. And, it is possible to retrofit in any standard bath space with the help of the Tub Extender Kit, which is included in the package. You will find it easy to use this whirlpool air spa combo, and it is safe too, mainly because of its watertight outward opening door. The door has a low threshold for easy entry and comes with a lifetime warranty. Another interesting feature is the presence of a highly sophisticated Whirlpool Massage System that comes equipped with an in-line heater and six water jets for an invigorating massage. 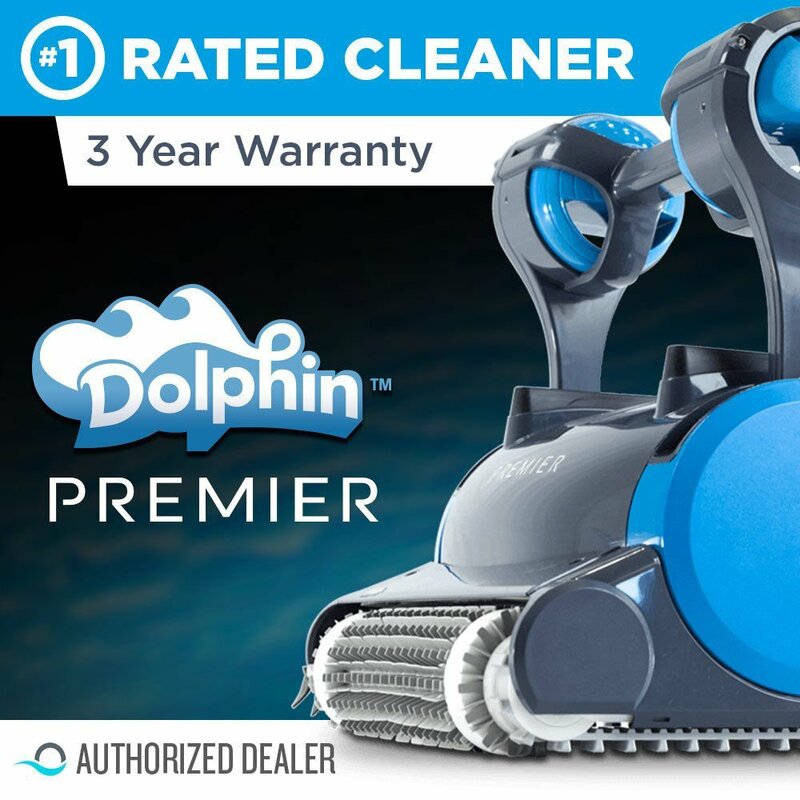 Other impressive features include hi-gloss Gelcoat construction, a fast-fill faucet, overflow, and safety grab bar, and the single speed heated blower. With all these features, the walk-in tub is sure to provide you with the kind of safety and comfort you need, but keep in mind that it may be a bit expensive than some other brands. It comes with an in-line electric water heater to provide you with more comfort. The availability of a soft-touch control pad helps automate everything. 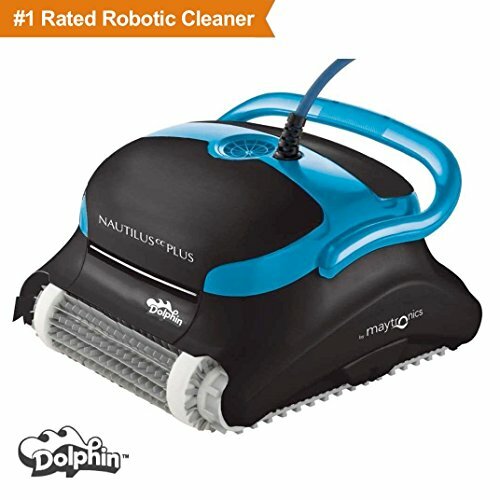 It uses deep soak build to help you have a full-body experience. The instructions to install may be a bit tricky for some. 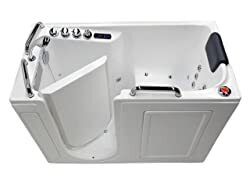 With 20 air massage therapy jets and 12 hydrotherapy water jets, this fully loaded walk-in tub can help you enjoy numerous therapeutic benefits. It comes equipped with the handheld shower as well as other necessary hardware to install the tub quickly and efficiently. For extended bathing comfort, you can consider turning that in-line electric heater on. The construction looks quite solid with triple coat fiberglass reinforcement. It doesn’t disappoint you in terms of safety because it has three built-in grab bars along with a stainless steel frame that uses laser precision support points. Its specially designed texture also makes it slip-resistant, whereas the inward swinging door adds to the overall safety. Everything works just fine, but some users believe the instructions to install the tub could have been a bit simpler. It uses fiberglass resin coating for added durability. It is possible to use the air tub with or without the heater. It has large access panels for easy maintenance. It takes 3, 20A circuits that may not readily work for every household. The EZWT from Ariel is popular for being an extremely durable and high performing walk-in tub. 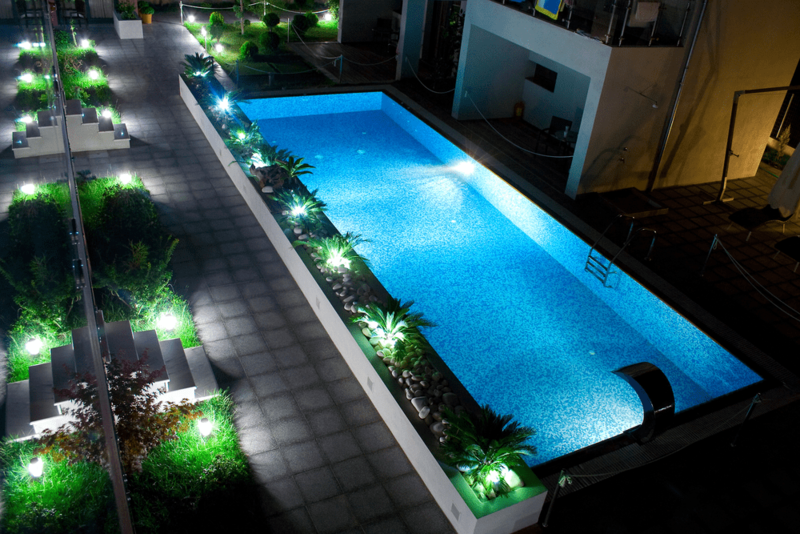 Because of the use of reinforced fiberglass resin coating, the construction looks quite solid. The presence of a 1500w in-line heater means you can have a therapeutic bathing experience. The good thing is that you can use the air tub along with the heater or use it separately. You won’t face any issue in terms of comfort because the tub performs well. Another nice thing is that the tub fills up in a short time and the heater heats it up quickly too. The safety seems nice too, as you can enter the tub and shut the door easily. The seal looks strong too. Moreover, the access panel is of perfect size, allowing for easy maintenance. The only thing you need to consider is that it requires 3, 20A circuits. It means that if you don’t have enough room in the electrical box, you may have to expand the electric service to use the tub properly. It comes with a contoured opening door for better safety. It has a low threshold to help you with the partial transfer. 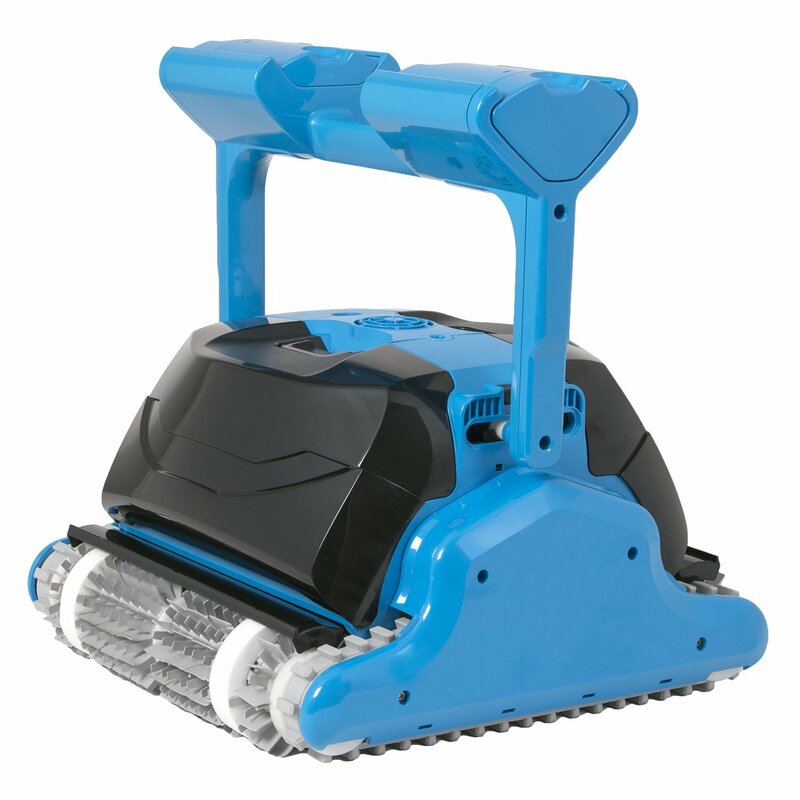 It has textured bath floor and safety grab bar for safe usage. It costs more than other similar models. The Value Series from American Standard is known for its safe and secure walk-in tubs, and this walk-in soaking tub is no exception. This 30”x 52” walk-in tub works well for smaller spaces. It uses less water and is extremely easy to install, thanks to the Tub Extender Kit included in the package. 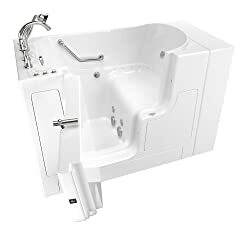 It features a built-in seat that is of reasonably good height and contoured to provide you with more room to soak comfortably. Similarly, easy-touch push-button controls also add to the overall convenience of using the tub. Other features like a polished chrome drain, handheld shower wand, fast-fill faucet, and safety grab bar are other impressive features. You can enjoy all this and more if you’re willing to pay the high price. It uses adjustable feet for improved convenience. It uses ADA complaint UPC drain for impressive performance. It uses a durable door system for added safety. The EZWT-3048 is a heavy-duty walk-in bathtub that is capable of serving you well for years. With its reinforced fiberglass resin construction, the bathtub holds up extremely well even when you use it on a regular basis. It is interesting to find adjustable feet on this bathtub. Coupled with a freestanding steel support frame, the EZWT-3048 becomes a suitable choice even if you have limited space in your home. 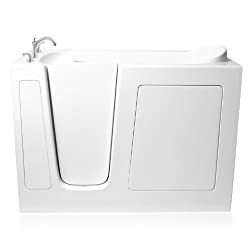 Another good thing is that it takes a few minutes to fill up the tub, and draining it is equally simple, especially considering it features ADA compliant UPC drain. Moreover, the presence of a reinforced door system means you will be safe while using the tub. It may be a bit expensive but offers a good value for money, as it has nice features and comes with all the accessories you need for installation. If you really have to find a fault, it may be related to the limited spacing with the seat back and faucet that keeps you from fitting a panel. This ADA compliant tub features a grab bar for improved safety. The use of a high gloss triple gel coat means the finish will last. The tub features removable access panels to make maintenance easy. The seat is not adjustable. There are so many things that go in favor of this E6030 walk-in tub. 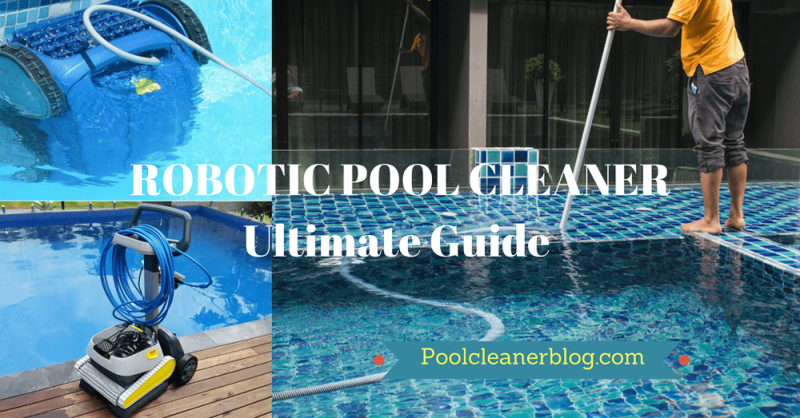 Its affordability is its biggest selling point, but you will also love the way it works. Whether you buy it for yourself or an elderly loved one, it will keep them safe and protected. The use of stainless steel frame means it will last for a long time, and the presence of those adjustable feet means you can have it placed wherever you want. It features a sophisticated Air Jet Massage System that comes equipped with 18 jets and delivers a soothing therapeutic massage. Cleaning and maintenance will not be an issue with this bathtub, and that is a big relief for many. 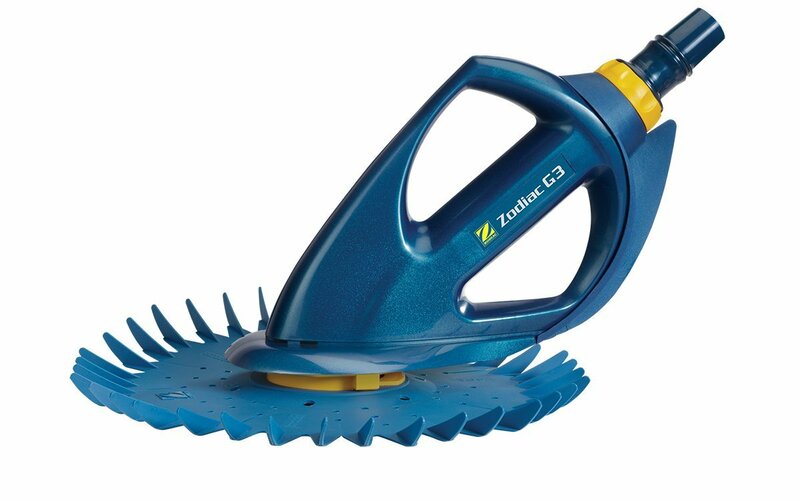 It uses high gloss triple gel coating that lasts long and is extremely easy to clean on a regular basis. The use of this coating also promotes better color uniformity and makes it look like a premium quality walk-in tub. The build quality is impressive with acrylic tub shell and steel frame. The tub drains in less than 80 seconds because of the Dual Drain Technology. You can use Push Control to use the tub more efficiently. 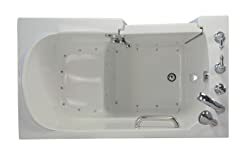 If you’re looking for a high-quality walk-in tub that is equipped with numerous features, you may certainly consider putting your money on this model. The build quality of this walk-in tub quickly grabs your attention. The use of stainless steel frame and acrylic tub shell means the tub can withstand heavy use. The door comes with tempered glass, which makes it sturdy and somewhat stylish too. The tub is equipped with both hydro and air massage systems and provides you with push controls to manage everything. The thermostatic control valve is a nice feature to have in the tub that you usually don’t find in many other brands. Another impressive feature that sets it apart from other walk-in bathtubs is the availability of two seats. Ozone sterilization and pull out hand mixer are other nice features that help you have a good bathing experience. You can also find most of the stuff needed for installation in the package, but some instructions may not be that simple, making it a little difficult for a DIY project. Walk-in tubs are becoming quite popular these days, not just because they are suitable for the elderly people but also because of their health benefits. For instance, they help relieve stress, relax muscle tension, enable stretching, promote circulation, and prevent muscle and joint pain. Not only are they relaxing and soothing, but they are also extremely safe to use. The combination of features like a low entry step, handrails, a built-in chair, and more ensures that your loved ones stay safe even when they live alone. Walk-in tubs are modern bathtubs used in the same way as a regular bathtub. The door to the bathing area is watertight but allows ground-level access. The difference between a traditional and a walk-in tub is that walk-in tubs have a door on the side. This is to prevent any spill when water is filled in the tub. With walk-in tubs, it is important to close the door before filling the tub. That means you can only turn on the tap once you are inside and come out only after all the water has drained out. This basic type of tub is designed keeping safety in mind. 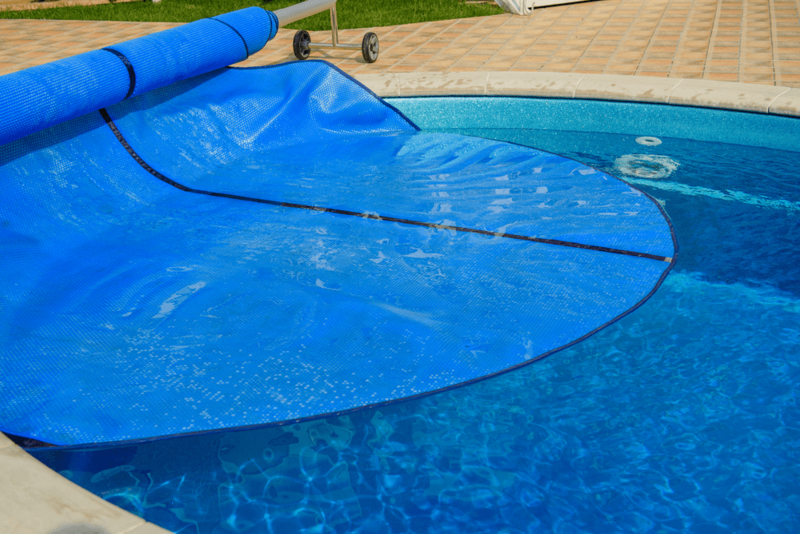 Soakers have all the ADA-compliant features like handrails, a built-in comfortable seat, and floors that are slip-resistant. The tubs are deep and have fast-acting drains. It means the water is drained out quickly and you can come out of the tub faster. You can think of a whirlpool tub as being similar to a hot tub or spa. The water jets create bubbles, and the bather is surrounded by it. For a relaxing bath, there is the facility of an in-line heater to keep the water warm throughout the bath. These tubs are good for hydrotherapy and can help in reducing joint and muscle pains when used regularly. These tubs are a preferred choice for arthritis patients and others with chronic joint and muscle pain and other injuries. The maintenance of these tubs may be an issue. You have to clean the jets regularly to ensure that the bubbles appear properly. A proper cleaning and rinsing process is needed for the pipes in the tub. It can take at least half an hour and is usually quite challenging for an elderly person to handle it on their own. The tub creates an ambiance that is full of aerotherapeutic benefits. The air created by the bubbling tub is warm and humid and can treat a host of respiratory issues. People can use it regularly to get rid of sinus problems. These tubs are deep, so you can get a refreshing soak along with getting some hydrotherapy benefits. The good thing is that the hot water relaxes your muscles and promotes the stimulation of immune and circulatory systems. The air jets enhance this by massaging the internal systems. 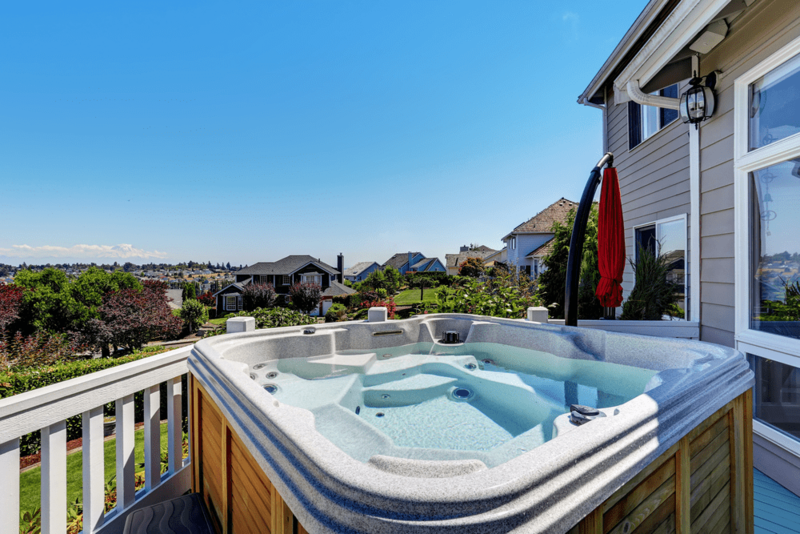 The tubs can be customized with special features like underwater treadmills and support bars. This is a great way to keep pain off the muscles and joints and strengthen them. The basic Walk-in tubs are not very wide and can’t fit in a person who weighs more than 300 pounds. Bariatric tubs have a wider door opening and a larger seat. These are ideal for people who are bigger in size. The other features are the same as the basic tub like the grab bars, low steps, textured and slip-resistant floor and all other safety features. These tubs are very sturdy and wide to bear heavy weight, typically up to 600 pounds. The width of the tub is at least 30 inches. For those with bare minimum mobility, a wheelchair is necessary. To get into a bathtub with a wheelchair is not possible unless there is support. These tubs provide just that. They have large doors and easy access to the built-in seat. You can go inside along with the wheelchair and simply slide into the seat. In these tubs, the doors usually swing outward for a better operation. The tub also features air jets, whirlpool jets, and other options. Most popular tubs come with a shower that is a hand-held one (like a corded phone) that can be kept in a fixed holder when not in use. There are other options like the over-head shower, which has a fixed position. Walk-in tubs with shower are great for those who want to take a quick shower in a safe and secure way. The Step-UP: It refers to the height of the threshold into the tub, and you have to consider the height to ensure it works for your situation. Traditional bathtubs usually have a threshold of around 15 inches, but the average may be around 3-7 inches. You can opt for wheelchair-accessible tubs for a lower threshold. The Door: Be sure to pay attention to the placement of the door and its functioning. You should opt for a tub with a watertight door. While you may be able to find tubs with doors that open inward or outward, you should check how easy it is to close it. You should be able to close it with minimal arm strength. The Chair: A high-quality tub will come with a high-quality built-in chair. You should consider the chair height to ensure that someone who will be using the tub can sit comfortably and stand easily too. There should be safety bars too to lower the risk of a fall. It is even better to buy a tub with adjustable chair. The Shower Head: If you’re buying the tub for an elderly person, it is a good idea to check if you get a handheld showerhead or not. It makes bathing easier while sitting down. Space: Be sure to have an idea of how much space you have available in your home to fit the tub. It is equally important to consider the size and depth of the tub before buying. To create a spa-like experience, it is important to buy a tub with more depth. 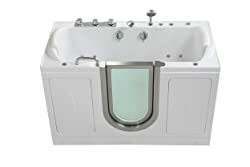 It is a good idea to buy a tub with water temp control feature as well as massaging jets to enjoy its therapeutic benefits. 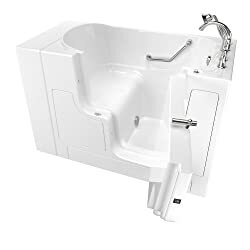 Check for the safety features as well, such as anti-slip tub floor, quick release drain, built-in grab bars, in-front access panels, and low step. The use of anti-scald technology, quick release drain, handheld shower wand, and no-strength locking handle add to the value of a tub. Walk-in tubs are safe and extremely convenient to use, but you need to consider the size that will work for you, your space, and your budget. Don’t forget to consider the safety features and ease of use before finalizing a buying decision. Hopefully, now you have the answer to the question What is the best walk-in tub on the market.